View from my bedroom window. 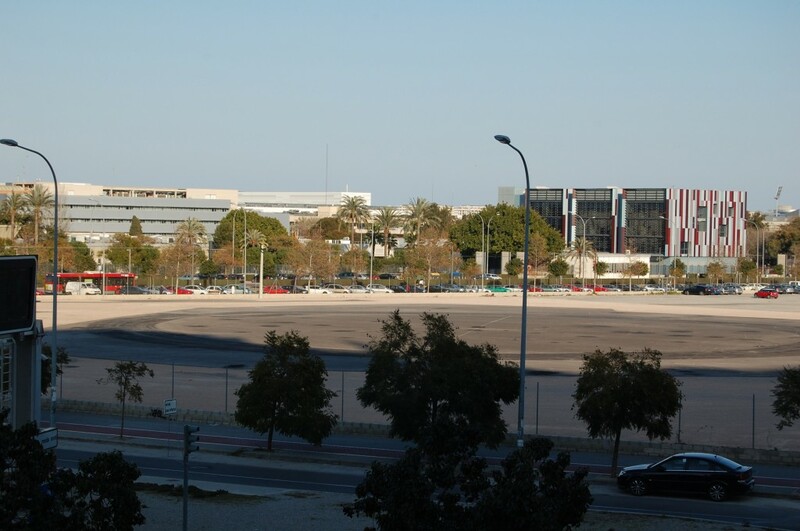 All those buildings are part of the "Unversidad Politecnica de Valencia"
The same thing I had said and experienced already two times in my life. The first one on March of 2002 when I arrived to the United States of America (Miami) to start a new life with my family, and the second one on August 2010 when I arrived to Tallahassee to begging my studies in pursuing a Master in Fine Arts. Both were shocking experiences in their own particular ways. I was lucky to find a three bedroom apartment five minutes from literally everything. The university is right in the opposite corner from the building I am staying. I can see it from my bedroom window. The market, pharmacy and every small business you can think of are down when you exit the building all over the block. I am sharing the apartment with two other guys that are finishing their bachelors’ degree in architecture at the Univerisidad Polytecnica de Valencia a well.